BMIM is once again launching its annual search for the best new talent in the country through a call for entries to the BMIM New Talent Award. And, for the first time this year, the one-day event will hold the new Buma Award categories at the BMiM Trade Dinner on May 22nd. The competition is now open for 2018 entries in the categories Best Sync (in advertising, tv, trailers, film and online), Best Original Composition for Documentary, Short Film and Telefilm; and Best Original Composition in Trailer for games, film and television. A panel of highly experienced judges drawn from some of the sector’s leading companies will assess each entry before choosing a winner. 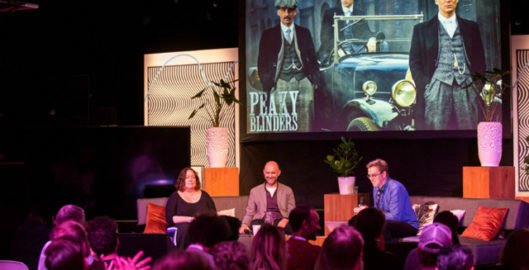 The annual Buma Awards took place in March, celebrating musical and creative excellence in film, advertising, radio, television and branding. “Because we’d like to inspire, recognise and celebrate more Dutch composers, we are presenting these additional awards for the new categories during Buma Music in Motion,” managing director from Buma Cultuur, Frank Helmink, said. Best Original Composition Documentary, Short Film and Telefilm is awarded to the Dutch composer of a documentary that has had its premiere or first public screening between January 1, 2017 and February 28, 2018, followed by a week in at least three cinemas or film theatres, a festival screening at the NFF, the IDFA, the IFFR has either been broadcast in the same year for the first time by a national or regional broadcaster in the Netherlands or abroad. Best Sync (in Advertising, Television, Trailers, Film, Online) is awarded for the best use of existing Dutch music in (international) television and/or cinema advertising, in online domains, in a selected scene from a feature film or television program; in a game, TV or movie trailer. Best Original Composition in Trailer (for Film, TV, Gaming) is awarded to the best Dutch composers of the original score created specifically for use as part of a film, TV game trailer or promo. First broadcast between between 1 January 2017 and 28 February 2018. For the New Talent Award, which was launcheded five years ago, students and young professionals can submit music for any and every kind of media up to April 23rd. The annual talent award recognises, inspires and celebrates emerging composers from all over the country, and offers upcoming talent an all-important platform to showcase their work to professionals from the music and media industries. The Awards will be open for entry until midnight on Tuesday April 23rd. Entry details and competition rules can be found on our website: www.buma-music-in-motion.nl.